» How can I add TAs or other users to my course? » How can I make my course active, so it is visible to students? – Updated! » How do I email my entire class, or individual students? – Updated! » How do I view my course from the student view? – Updated! » How do I locate my courses? » How do I build a course on Brightspace from scratch? » How can I re-order my courses on the dashboard? » How do I Edit the Navigation Bar (Navbar)? – Updated! » How do I create a homepage for my course? » How do I create an image banner for my homepage? » How do I delete my homepage and make another tool the first page students see? » How do I turn off course tools I do not need? 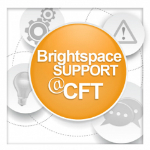 » How can I upload a profile photo to my Brightspace account? » What is the e-Portfolio? » What is the table of contents? » How do I upload my syllabus? » How do I move files around in my course? » How do I insert stuff into my course? » How do I create modules and add content to them? » How do I make content unavailable to students? – New! » How do I import course materials from another course management system? » How do I copy an entire Brightspace course to another? » How to move pieces of content from one Brightspace Course to Another? » How do I set Rules or Release Conditions to restrict content? » How do I create an assignment with the Assignment Tool? » How can I create an assignment from the content module area? » How do I add feedback and evaluations to assignment submissions? » How do I grade and evaluate a student who has not submitted an assignment? » How do I associate an assignment with a grade item? » How do I enable TurnitIn on a new assignment? » How do I enable TurnitIn on an existing assignment? » How can I download assignments? » How can I download assignments by group? » How can I contact students who have not submitted an assignment? » How do I associate my quiz to a Grade Item in my Gradebook? – Updated! » Getting Started: How do I set up my gradebook? – Updated! » How do I create grade categories and items? – Updated! » Example of a Weighted Grade Book – Updated! » Where do my students see their grades, and how can I change settings? – New! 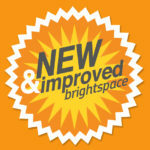 » How do I grade work using Brightspace? » How do I release final grades to students? » How do I exclude a grade category or item from the final grade calculation? » How do I enter all grades for a specific Grade Item? » How do I import a custom grade scheme that I’ve created? – New! » How do I Export my Gradebook into Excel? » Understanding the Discussion tool – Updated! » How do I create groups in Brightspace? – Updated! 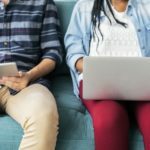 » How do I let students self-enroll into groups? » How do I create group discussion topics? – Updated! » How do I Restrict Access to Videos I’ve Uploaded?– New! » How do I Put a YouTube Video in a Content Module? – Updated! » How do I make edits to my Kaltura video? » How do I add captions to my Kaltura video? » How do I edit captions in my Kaltura video?